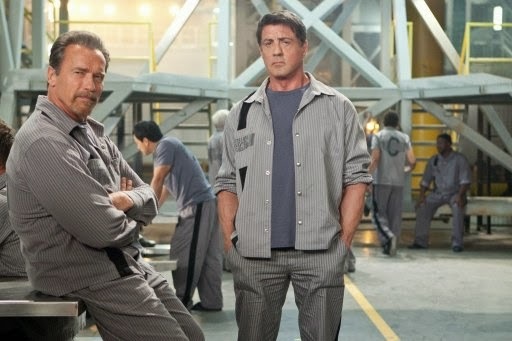 Stallone and Schwarzenegger have teamed up before but that was really only for the last act of The Expendables 2. In Escape Plan they get near equal billing and screen time in this glorious homage to The Great Escape, er I mean that other epic prison escape movie Fortress! It’s fairly bizarre seeing Schwarzenegger actually act for a change playing an intelligent individual rather than just grunting as shooting, although there’s plenty of both including his appropriation of a Helicopter-mounted machine gun which he fires from the hip. Stunning performance also from Jim Caviezel as the prison warden with Vinnie Jones as the over-eager head guard lapdog. 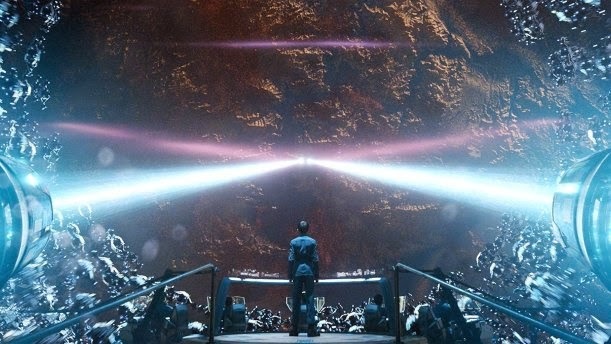 Based on controversial homophobe Orson Scott Card’s classic sci-fi novel, Ender’s Game is the tale of a child prodigy trained to become the supreme battle strategist for the human race as it prepares to defend itself against attack from an insect-like alien race. I’m probably going to dump this in my disc collection with the likes of Wing Commander, the movie based on the game, as I wouldn’t consider this a potential classic science fiction movie by a long shot but I’d certainly watch it again. Sir Ben Kinglsley shows up to support Asa Butterfield [Ender] with Abigail Zombieland Breslen, Hailee True Grit Steinfeld and Harrison Ford as Colonel Graff. I’ve been told to read the book to fully appreciate how much Hollywood has “butchered” this classic science fiction tale, but from what I’ve read so far, the decisions the producers made seem to be entirely understandable. Worthy sequel to a movie that I originally thought would fail because I think the character is a bit silly to be honest. However Branagh made it work and now Alan Taylor gets to deliver a tale of epic proportions as Thor imprisons Loki in the aftermath of The Avengers but must learn to work with him against an ancient enemy to save his beloved Jane from being consumed by darkness [along with the rest of the planet]. Here the ground work is laid for “phase 2” of the Marvel Super Heroes arc that will continue in Captain America: Winter Soldier and on to Guardians of the Galaxy and Avengers 2. Everyone from Thor returns for The Dark World, so no surprises. Christopher Eccleston [who wants to be a ‘real actor’ so much he snubbed Doctor Who's reunion] is the woefully substandard villain. Natalie Portman still looks like she just doesn’t want to be in the movie but a tip of the hat goes to Stellan Skarsgård for bringing even more life to Prof. Selvig this time around. Cameo alert: You will recognise Chris O’Dowd you may not Benicio Del Toro, you have been warned!